The Dyson series of vacuums claim to be some of the most powerful house cleaning devices in the world. 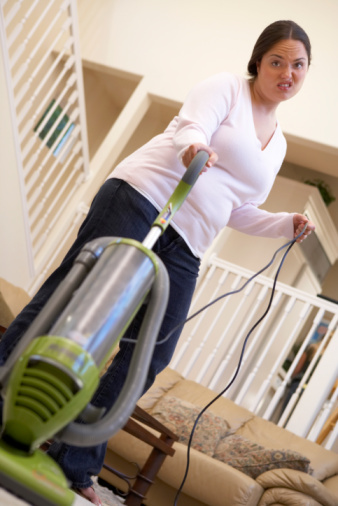 Invented in the 1980s, it took nearly 20 years for the vacuums to become popular with consumers. Dyson vacuums use a cyclonic separation design to maintain consistent suction and airflow. The two more expensive Dyson models available are the All Floor and the Animal. There are minimal differences between these two vacuum models. James Dyson is an English inventor who introduced a new kind of bagless vacuum cleaner in 1983. 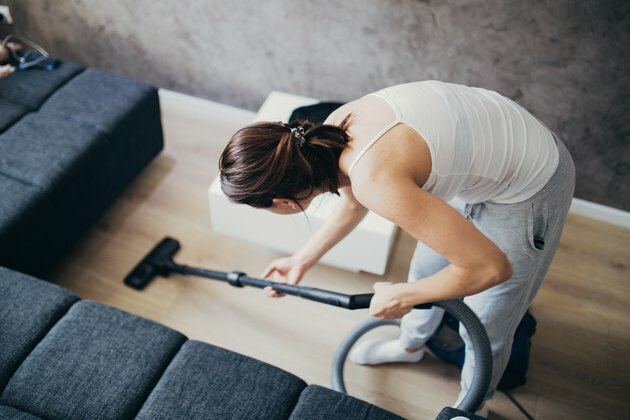 Called the G-Force, this cleaner used a process called cyclonic separation to provide more efficient vacuum suction that doesn't slow during use. This vacuum became the basis for the popular line of Dyson vacuum cleaners used today. Dyson faced a lot of resistance to his design, with no vacuum manufacturers willing to take on his design. Dyson ended up starting his own manufacturing company to build and sell his vacuums. It wouldn't be until the early 2000s that the general public would see the merits of his design. Today these vacuums are among the most popular devices in the United States and the United Kingdom. Dyson vacuum cleaners work by a process called cyclonic separation which filters the vacuumed material and keeps the vacuum's suction consistent through usage. Cyclonic separation is a form of inertial separation, specifically centrifugal separation. The vacuum forces the intake through several small angled tubes. Inside these tubes the air spins, and this forces larger particles and dust against the walls of the tube to drop into the container below. This allows for better airflow and consistent suction. Dyson All Floor vacuums are a variation on the Dyson vacuum that was introduced with the popular DC07 series. The All Floor is intended for use on multiple types of floor surfaces, from thick carpet to bare floors. Like other Dysons since its introduction, it uses a ball joint for easier steering during cleaning. Dyson Animal vacuums were also introduced with the popular DC07 series. The vacuum is intended for use by pet owners and offers a mini-turbine head attachment for cleaning pet hair. This model also uses the ball joint design for easier maneuverability. The Dyson Animal and All Floor are significantly similar vacuums. In each generation of these two vacuums, the DC07, DC15 and DC25, the features have little variation. The more recently introduced DC25 versions of the vacuums both offer motorized brush bars for removing dirt and pet hair from carpets and lightweight ball joints for easy maneuverability. When comparing the DC25 All Floor vs. Animal, the difference is in the attachments. The Dyson Animal offers the mini-turbine head attachment while the All Floor does not. The Animal is the more expensive of the two models, offering the same features as the All Floor in addition to the specialized pet attachment. Based in Brooklyn, Cyrano Jones has been writing professionally since 1998. He is also an independent filmmaker and screenwriter. His writing appears online and in the "Anchorage Daily News" and "Anchorage Press." He writes primarily about Internet and video technologies. Jones has a Bachelor of Arts in English from the University of Alaska-Anchorage.